Travellers could waste hundreds of dollars this summer if they don’t take care with travel money, according to new research by financial comparison site Mozo.com.au. With the new Qantas Cash and Velocity Global Wallet cards recently shaking up the travel money market, Mozo has been investigating what the best options are when you travel. Should you get a pre-paid card or use cash? And how can you avoid getting caught by scams and hidden charges? Mozo money expert Kerry Lotzof says when it comes to the crunch, exchange rates are the number one factor deciding value for travel money: “It takes a long time to save and plan for a dream overseas holiday, Aussies spend hours researching the cheapest flights and accommodation while missing the fact that some of the biggest and easiest savings to be made are actually about how you handle your cash on the road,” Kerry says. Make sure you’re aware of your credit card rates and charges if you plan to use your regular plastic. You’re almost certainly going to get poor value rates with the average credit card. Look for ones targeted to travel, or consider a pre-paid travel money card, where your rates are already locked in. Mozo’s latest research found a vast difference between the best and worst pre-paid travel cards in the market, with exchange rates and fees potentially costing travellers hundreds of dollars for the average overseas trip. The OzForex Travel Money Card is the clear market leader currently, but the new Qantas and Velocity cards are also good value and also include reward points. Overseas retailers may try to lure you in by offering payment in your local currency. But there’s a hefty, hidden conversion fee – typically over 3% – which is higher than a good overseas debit card foreign currency rate, and will still incur all the usual overseas fees. It’s a much better idea to use up the last of your foreign cash or a travel card deal. 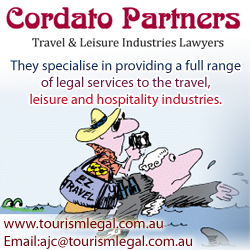 Never buy travel insurance through your agent or airline. Mozo’s research found Australians can pay up to four times too much – no wonder when airlines like Qantas charge up to 53% commission! Instead, do your research online and compare quotes. And don’t double up: you may already have travel insurance on a premium credit card that’s sitting in your wallet, so don’t pay twice. Paying extra to reduce your rental car insurance is the car hire equivalent of “would you like fries with that?” $20 or so a day to lower your car rental excess really adds up over the course of a several week vacation. If you have travel insurance you’re probably already covered as many policies offer rental car excess coverage – so check your inclusions. If you’re a frequent flyer, it’s really a no-brainer (the cards are very competitive) so choose a travel card where you get points for your spend… but “swipe” as much as possible because ATM withdrawals won’t count or earn you any points. Airport cash booths and bureaux de change are the very worst place you could possibly go to get foreign currency. Even if they claim not to have any fees or commissions you can bet that an extortionate charge is built into the exchange rate they quote you. You’re better off using your regular bank card at a local ATM. Minimise transaction costs by exchanging and withdrawing cash from ATMs in larger amounts, and avoid reload fees by budgeting as close to the dollar as you can. If you’re carrying your currency in cash, watch out for pickpockets and be wary of leaving it in hotel rooms. Cards can be a safer option here, as at least you can cancel them, so make sure you’ve got the number of their 24-hour hotline to allow you do to this immediately. And don’t leave all your cash and cards together, have a second card stashed in another part of your luggage. A recent Mozo survey found that Australians are wasting millions of dollars every year by bringing back spare holiday money and leaving it lying around in drawers. If money is held on a travel money card you can save it for a future trip, or try some well placed international online shopping to stop it being eaten up by inactivity fees! Otherwise convert spare money back or consider donating foreign coins to charity.